Officers in Minneapolis said they fired on the suspect after a foot chase. Officers on Saturday shot and killed a suspect in Minneapolis who allegedly was firing a gun into the air and into the ground while walking down the street. Minneapolis Police Department personnel responded after an anonymous 911 caller at 5:26 p.m. local time told authorities a man was walking around firing a handgun, police said in a statement, adding: "That caller provided a very detailed description of the suspect and his clothing." Minneapolis Mayor Jacob Frey said in a statement he hoped to "offer words that can help ease the pain that people in every neighborhood of our city feel tonight. But at the same time, I must recognize that whatever words I come up with will fall short of that goal." "Too many times," he added, "people from across Minneapolis and the Twin Cities have been stung by the pain of a life lost in the course of an encounter with law enforcement. Regardless of what happened tonight -- the historical trauma inflicted on communities of color is never far from nearly every facet of our lives." 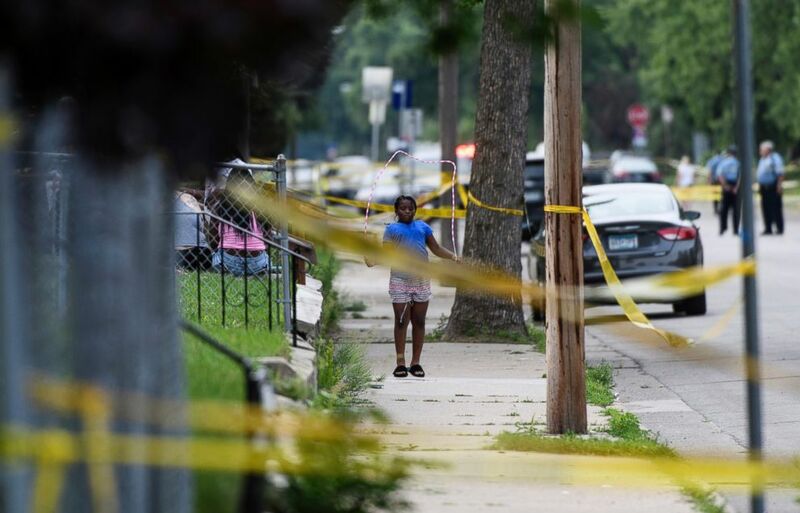 (AP) A girl jumps rope outside a home along Bryant Avenue North near the scene of an officer-involved shooting Saturday in Minneapolis.